When you get a super quick recipe with minimal ingredients for a dessert, it brings a big smile on your face. 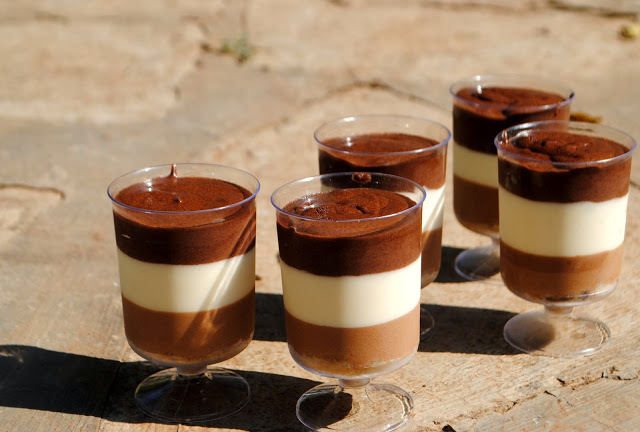 Chocolate mousse is a great dessert where you can experiment with your creativity skills. Going the simple way or making it with layers, it’s incredibly decadent! 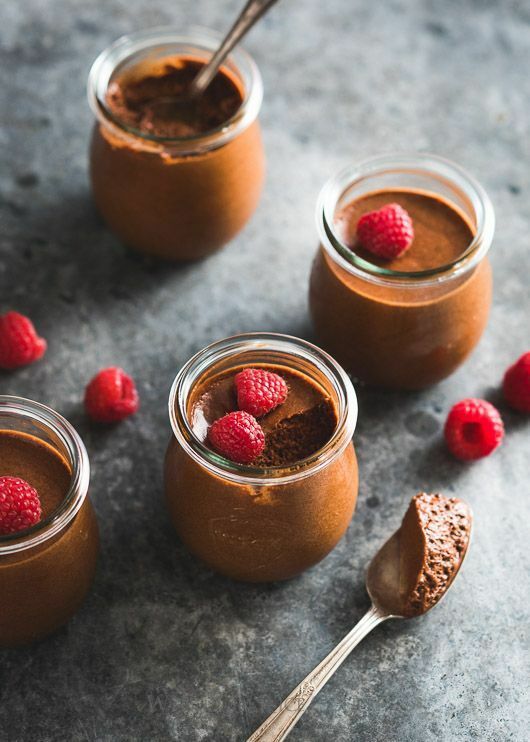 When time is less and I am out of complicated ingredients that different desserts demand, I often resort to different variations of this simple chocolate mousse recipe. The silky and fluffy texture along with the appealing look, makes it a winner for divine indulgence. This chocolate mousse was a sweet treat to all my friends and family who I met this Diwali and they enjoyed it a lot. I was scared of trying my hands in making a mousse since it requires a prefect combination of ingredient and preparation technique. However I decided to be a little brave and gave it a try. 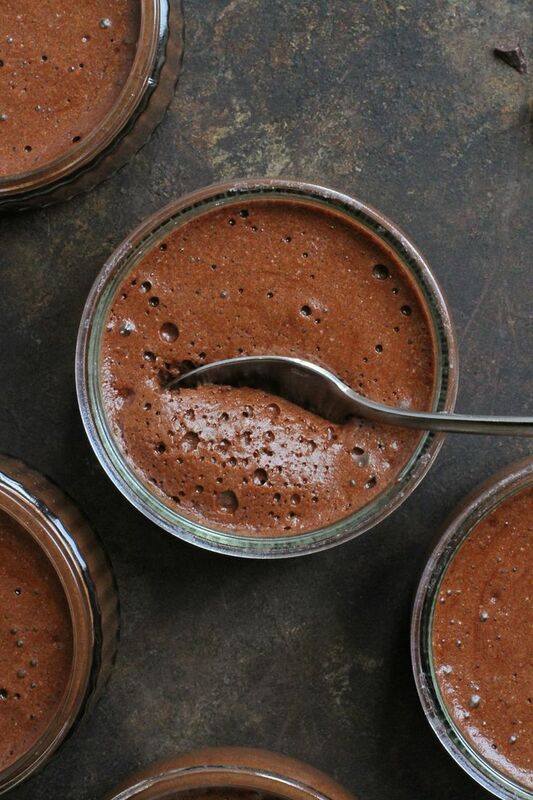 I failed miserably a couple of times since I had to make eggless mousse but with constant hit and trail I came up with this easy and perfect eggless chocolate mousse recipe. Getting the airy texture was difficult but with this recipe I feel you can experience some serious food coma! So don’t get intimidated, just gather a few ingredients and let’s start cooking. Remove the cream from the oreo biscuit. Take the biscuit and crush it in the food processor along with the melted butter. Take this mixture and heat it in the microwave for 2 – 3 minutes. Pour the mixture into the glasses in which you will finally serve. Take fresh cream in a bowl and heat it on the medium flame. Add powdered sugar and stir until incorporated well. Make sure to constantly stir the cream. Divide the heated cream into two bowls equally. In one bowl add the dark chocolate and mix it well. In the other bowl add the white chocolate and mix well. Add milk in both the bowls and mix until the chocolate is fully incorporated in the cream. Pour the dark chocolate mix over the Oreo layer and allow it to partially set for 15 – 20 minutes in the freezer. Next put the white chocolate layer and allow it to set on the freezer for 1 hour. Take the mousse out and garnish it with chocolate shavings or whipped cream or berries, whatever you please. Put it the the refrigerator and serve it cool. You can omit the Oreo base and instead use Hide and Seek biscuit. You can even choose to omit any biscuit base. You can add a third layer of milk chocolate to give it a great look. To keep it simple, make a chocolate mousse using either dark chocolate or using milk chocolate. Don’t forget to adjust the quantities of the different ingredients.